When it comes to killing mosquitoes, sometimes one of the best ways is to lure them close with a high-tech trap. But how about a homemade mosquito trap? Do they work? If made correctly, homemade mosquito traps can work rather efficiently. These are a cheaper alternative to the store-bought traps. With a little knowledge and creativity, creating your own mosquito trap may only take you a few minutes. However, to make the best trap, it is essential to understand how these work. I will explain to you what attracts mosquitoes and how you can make your own trap. I will also share a bit about what to look out for in terms of risk and precautions, so you can stay safe. A mosquito trap is a healthy and environmentally-friendly alternative to the, sometimes toxic, foggers and sprays. It will use some form of attraction to lure the mosquito close where it will then either trap and exterminate or kill upon contact. How it works really comes down to which model and what mosquito species might be close by. Some manufacturers claim that their traps can exterminate larger mosquito populations. Some even before they get close to humans. This could well be true, assuming you place the trap between your location and the flying pest’s hiding spot. So before it senses you, the trap will lure it in. You should be aware that, when you use a trap for the first time, you'll likely see an increase in mosquitoes around the area. Mosquito traps can attract the bloodthirsty insect from quite far away. This is also why you shouldn't place a trap on or near an outdoor dining table. Traps work best when you place them away from yourself and family, so that the mosquitoes are not attracted to you instead. With a mosquito trap, you’re luring the flying pests close using something they find irresistible, such as light, a scent, or carbon dioxide. Although most DIY traps are simple, they can still effectively stimulate the mosquito’s senses. There are various ways to power a mosquito trap. Some utilize propane gas and are therefore self-contained. These generally use some type of coating which emits carbon dioxide. Then when heated it can attract nearby mosquitoes. Propane-powered traps are excellent for larger areas as they are independent of power outlets. This, of course, means you can place them anywhere. They work with a thermoelectric generator that creates energy using heat combustion. It thereby powers the intake fan which traps the mosquitoes. This will also allow the trap to intercept the flying bloodsuckers before they get a scent of human skin. A more traditional trap works close to a power outlet. These usually utilize light as an attraction method. Upon impact, an electric grid electrocutes the mosquitoes. These traps are typically much cheaper, but don't provide as much flexibility when it comes to location. Other traps that you generally see indoors will use a small fan to draw the mosquitoes in. Once inside, they will stick to a sheet of glue, which is impossible to escape from, and simply die from dehydration. Mosquito traps work in various ways. Their success depends significantly on the manufacturer, as well as mosquito species. 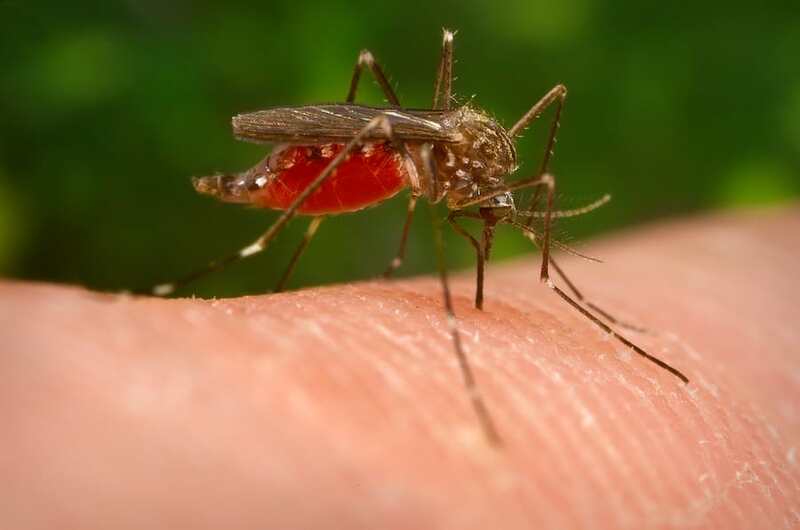 According to the American Mosquito Control Association, there are around 176 recognized species in the U.S. Not all of these find the same targets attractive. This means that results vary depending on how the trap works. At the present time, there is no trap available that is able to attract all the various mosquito species. So, when looking for one, or considering making your own, ideally you want to cater to as many species of mosquito as possible. As a mosquito hunts for its next blood meal, there is a complex process of behaviors involving individualized cues, such as visual, thermal, and smell. Each mosquito species has its own patterns. Some require high concentrations of carbon dioxide emissions to find a target attractive. While, for others, heat and light may be enough. Needless to say, it is not as straightforward as we would hope, when it comes to attracting mosquitoes. With all the different species and their unique preferences, it is no easy task. It is not yet known exactly attracts Mosquitoes. Scientists now believe that factors such as seasonal and daily cycles may influence their preferences greater than initially thought. Therefore, what attracts them during early dusk, may not be the same later in the night. While some hunt throughout late summer, others prefer the earlier months. A test placed two different mosquito traps in two separate locations, where they switched places every day over the course of two weeks. One trap was very successful at attracting one particular species but less prosperous with others. Where the other trap was just the opposite. This only strengthens the need for more research when it comes to attracting mosquitoes. Seeing the vast amount of various species present in the U.S., ideally, we want a trap which can draw as many as possible. Water is a mosquito's most cherished attraction. Mosquito eggs require water to hatch and then spend the first week transforming from larvae to pupae and then into a grown adult. If there is a trap lined with a shallow tray filled with water, mosquitoes are likely to gather. This is also why pest control experts always stress the need for eliminating any standing waters around your yard. Even a blocked gutter where rain collects can serve as a breeding spot. A mosquito's eyes have the ability to gather heat information in order to spot a warm-blooded target—whether it's human or animal—to feast upon. You may already have noticed that, that every time you’re working harder, or your body temperature goes up, more mosquitoes are attracted to you. Every time we breathe, small amounts of carbon dioxide are released, along with a few other chemicals. Bloodthirsty mosquitoes use their sense of smell to utilize this as a way to hunt down their next victim. Traps which emit carbon dioxide tend to attract more mosquitoes, since they stimulate a live target. Mosquitoes aren't able to distinguish you from a machine if both are releasing carbon dioxide The only factor which sets you apart is the warmth produced by your body. However, most traps now eliminate this difference by generating heat. Most mosquitoes are attracted to specific lights and even certain colors and hues. Why do insect zappers always use a blue neon colored light bulb? Because most flying insects find this particular light irresistible. Still, light is not the best attraction to use when trapping female mosquitoes—the ones who actually feed on our blood. This is why most traps must utilize several attractants in one go, for example by emitting light as well as heat or carbon dioxide. A homemade mosquito trap will not take you long to create. Of course, this trap won't eliminate all the mosquitoes on the premises, but it can help to keep them away from your BBQ party, or dinner party if you make an indoor trap. You don't need much to make this trap, and most of the items are probably already somewhere in your home, ready to be used. An empty 2-liter soda bottle. Grey construction tape or black spray paint. 1 packet dry active yeast. Step 1: Cut the bottle. Use the retractable blade knife and cut off the top of the bottle, around the midsection—generally where the label is sitting. Don’t worry about the cut, it doesn't have to be precise. Step 2. Ready to assemble. Now that you should have two pieces—a cylinder, and a bottleneck—it's time to unite them again. Take the bottleneck and remove the cap. Flip it, so it resembles a funnel. Place the funnel into the bottom cylinder, with the narrowest part facing down toward the base. Push the funnel down a bit, just enough so that, when you pour in the cup of liquid attractant, there's still room for a bit of air. If you were to push the funnel too close to the bait, the mosquitoes wouldn't be able to enter the trap. Step 3. Eliminate escape holes. What's the point in a trap if the culprits can escape? Grab the duct tape and secure the top of the funnel to the bottom cylinder. This way you are ensuring that the top part will stay in place, but also sealing off any potential escape routes. However, keep in mind that a homemade trap is not escape-proof. Some mosquitoes will likely fly back out, but the majority will remain inside. Step 4. Seal out sunlight. As you are using yeast, it can go rancid rather quickly once the sun comes out and heats the trap. To avoid this, grab the construction tape and wrap the trap. You can also use black spray paint, although the tape is better at keeping the heat out as well as the sun. Step 5. Prepare the sugar bait. Being a master chef is not required to make this mosquito bait—it is very simple. To begin, bring a cup of water to the boil. Once boiling, add the 1/4 cup of brown sugar and stir until it dissolves. Remove from the stove and let cool till it reaches a temperature between 120 and 130 degrees Fahrenheit. The mixture should be comfortable enough for you to put your finger in without feeling cold or hot. If either too hot or cold, the yeast will not work correctly. When the sugar and water are at the right temperature, pour in the package of active dry yeast and give it a gentle mix. Then pour it all into the bottom cylinder through the funnel, and you should be ready to catch some mosquitoes. When the yeast is activated, it emits carbon dioxide which simulates a live target and attracts the mosquitoes. This trap is a bit out of the ordinary, but I think it's an inventive and fun way of creating your own mosquito trap. It does, however, require more effort, so unless you enjoy making things, this may not be for you. You only need three items: some fine wire mesh cloth, a desk fan, and isopropyl alcohol or rubbing alcohol. Step 1. Prepare the fan. Begin by attaching the wire mesh to the front of the fan. This will work as the spider web, where the unsuspecting mosquito will fly into from the back and hopefully get stuck. Step 2. Treat the wire with alcohol. Spray or brush the rubbing alcohol onto the wire. Make sure it covers as much as possible so that the mosquitoes come into contact when they get stuck. Step 3. Watch and wait. Turn on the fan and let the air draw the mosquitoes in. You can also place bait at the back of the fan, such as the above yeast mixture. When the mosquitoes get close, the force from the blades will pull them inside, out the front and into the wire. The rubbing alcohol will kill them immediately. Homemade mosquito traps are as easy to use as they are to make. The best place to locate the trap is an area where there is enough shade, for example under a tree or behind a hedge. You can also hang your trap by adding some elastic bands and securing them with duct tape. Wrap a few more around the base and fasten them on a branch. An ideal location is one which provides enough shade and is often a little breezy. You want the fumes of the yeast to travel around your yard. Don't worry about the odor: it's not something humans can detect unless you’ve got an extra strong sense of smell. Considering the purpose of your mosquito trap is to attract the flying pests, do not place it near any sitting areas. This is something that people often forget. A trap will not work as a repellent candle, which you would place in the middle of your table to keep them away. Instead, it draws in the mosquitoes, and they will quickly swarm anyone who is nearby. Preferably, you should set the trap in a corner, far from your outdoor seating, or near a damp spot in your yard. As the yeast gets to work, it will emit a trail of carbon dioxide. When evening time comes around, the mosquitoes will spot your trap and hopefully go right on inside. Due to the structure, the bloodthirsty creatures can have easy access to the bottom cylinder. Once inside, it becomes almost impossible for them to escape. Eventually, they will tire and fall into the sugar solution. Because you heat the sugar, the solution becomes thick and will act as a blob of glue for the mosquitoes. Every two weeks or so, it is essential to change the bait. Once the yeast becomes inactive, the mosquitoes won't fall for it. Homemade mosquito traps are reasonably safe to make and set up in your yard. The construction tape or black spray paint will keep it from overheating. However, make sure you place it out of reach of other small animals. You don't want it to fall over and drench a porcupine in sticky sugar solution. However, as with any DIY project that requires the use of sharp utensils, you should always be careful when working with knives. This is especially true for plastic bottles, as the blades can easily slip and leave you with a nasty cut. If you decide to make the DIY spider web, this trap will need to be close to a power source for the fan. It needs to be situated securely to ensure it cannot be knocked over. Also, as this contains rubbing alcohol, always be cautious of potential flames. A homemade mosquito trap can definitely help make a dent in the pest population around your yard, but it can't eliminate all of them. Homemade traps do have their fair share of success stories, but there are also many who claim they are ineffective. For this reason, any time you plan to stay in your yard, remember to wear a repellent. This can be a DEET product or essential oils such as peppermint or lemongrass. We are all well aware of the diseases mosquitoes carry, and there are traits present in the U.S., for example, West Nile Virus. Fortunately, this virus is not as severe as other mosquito-borne illnesses, but it can take a turn for the worse. We all want to protect ourselves from the bloodthirsty mosquito, but we also wish to keep the toxic chemicals at a minimum. Homemade mosquito traps offer a natural, safe alternative. Although not as effective as its manufactured cousin, this trap can keep a small yard clear for your family BBQ. Remember to place it away from sitting areas and replace the bait at least every two weeks. Always wear repellent to ensure that you and your family stay protected. Hopefully with this guide on homemade mosquito traps, you are now able to take your home and yard one step closer to becoming a mosquito-free haven.